Indonesian Earthquake Engineering Association (IEEA) and Udayana University (UNUD)-Bali hold the 3rd International Conference on Earthquake Engineering and Disaster Mitigation on 1-2 August, 2016 in Bali, Indonesia. Please check the leaflet below for the first annuncement and call for abstracts. The deadline for the abstract submission is extended to October 15th. Please find the key dates of 16WCEE in the following website. The earthquake occurred approximately 80 km to the northwest of the Nepalese capital of Kathmandu at shallow depths. A large number of fatalities and injuries, and wide-spread damage to infrastructure, buildings and historic monuments have been reported in Nepal and its neighboring regions. The IAEE offers our deepest condolences and sympathy to those affected by the devastating earthquake. One of earthquake engineering's leading lights of the past several decades, Nigel Priestley, has passed away. The notice from the New Zealand Society for Earthquake Engineering is reproduced here. It is with deep sadness that I inform you Professor Nigel Priestley passed away peacefully on Tuesday December 23, 2014 in Christchurch, surrounded by his wife and children, after a long battle with cancer. Nigel revolutionised the design of structures to resist earthquakes and made everlasting impact on the higher education for earthquake engineers in NZ, US and Europe. Nigel received numerous honours for his immense contribution to the science and art of Earthquake engineering. 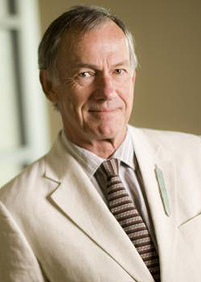 Amongst these, it include honorary doctorates from ETH, Zurich and Cujo Argentina; Nigel was a Distinguished Fellow of IPENZ, Fellow of the Royal Society of New Zealand, an Officer of the New Zealand Order of Merit (ONZM), and a Life Member and a past President of the Society (1985-1986). IAEE and member national organizations have been supporting the six scientists accused of having falsely reassuring information before L'Aquila earthquake. We sincerely welcome to see convictions overturned in a higher court. Note that the prosecutors can still seek to have a fresh appeal to Italy's supreme court. The Republic of Costa Rica Joins IAEE as the Newest Member Country. Following a formal application for membership by la Asociacion Costarricense de Ingenieria Estructural y Sismica (ACIES), the IAEE Executive Committee has resolved to accept Costa Rica as its newest Member Country. We welcome our Costa Rican colleagues into the Association. With this addition, IAEE now has reached 58 members. It has now been two years since the occurrence of what has turned out to be one of the deadliest and most costly natural disasters ever witnessed in the world. The M9 mega-event that shook the northeastern seaboard of Honshu Island, where the nearest major city is Sendai, ranks among the largest seismic events that have been recorded. The earthquake unleashed a major tsunami that swept across many smaller fishing settlements along the Tohoku coastline, and exacted a human loss toll that stands in excess of 18 000 with many injured. A series of seemingly unlikely equipment failures at the Fukushima Daiichi nuclear plant led to multiple meltdowns and releases of radioactive materials into the environment following the earthquake and tsunami. The scale of the disaster beggars description in terms also of economic losses. While performance of building systems, railway networks and early warning equipment for lifelines was good, many images of death and destruction brought by the tsunami were etched into the memory of everyone in the world. The Japanese people bore the tragedy with fortitude, and have gained the respect of other countries that must live within the shadow of the seismic threat because of the many individual tales of communal spirit and selfless solidarity. This disaster must serve as a call for sustained vigilance and unflagging preparedness to protect lives and assets against the seismic hazard. The Hyogo Framework for Action (HFA) against natural disasters and their harmful effects was crafted in 2005 in Japan ten years after the Kobe earthquake to serve as the blueprint for risk reduction policies that governments must adopt and enforce. The International Association for Earthquake Engineering (IAEE) was among professional organizations that contributed to the preparation of HFA, and through its member national organizations, has been among the principal mechanisms for implementing the guiding principles that it has outlined. We respectfully commemorate the memory of victims of the March 11, 2011 Japan earthquake with bowed heads, and pledge to pursue the objectives of IAEE in ensuring a safer world for all those who stand in danger of the seismic peril. 10NCEE. The 10th U.S. National Conference on Earthquake Engineering (10NCEE) will be held in Anchorage, Alaska on July 21-25, 2014. The conference, on the 50th Anniversary of the Great Alaska Earthquake and Tsunami, will provide an opportunity for researchers and practitioners to share the latest knowledge and techniques to mitigate the damaging effects of earthquakes and tsunamis. More information can be found on the conference website at 10NCEE. More than 30 national organizations have endorsed the IAEE declaration on the sentencing of six scientists and one public administrator in Italy over accusations of having made a falsely reassuring statement before the L'Aquila Earthquake in 2009. National organizations from the following countries have endorsed to the IAEE declaration. hat seven scientists who were members of the National Commission for the Forecast and Prevention of Major Risks have been sentenced to prison terms for having provided "inaccurate, incomplete and contradictory" information about the danger of the minor tremors felt ahead of 6 April 2009 M6.3 earthquake, leading to the deaths of some 300 persons in and around the historic town of L'Aquila in central Italy. While we have not examined the wording of the court's decision we must take a stand on what we believe is a flawed judgment that might have a negative impact for the future. Earthquake science is not a magical tool that allows anyone to state with any degree of credible reliability when and where an earthquake with a prescribed size will occur because earthquake occurrence does not conform to a simple and coherent pattern. The interpretation of minor foreshocks to state whether they herald a major earthquake to follow has yet never been done, except in the imagination of publicity seekers with no scientific credentials or on account of pure coincidence. The seven defendants are all well known in their respective professional fields, and enjoy the respect of their peers. We feel that justice has been poorly served, and a dangerous precedent has been established with the verdict. No responsible scientist will henceforth dare to risk his or her professional reputation (not to mention personal well-being) by interpreting signals of activity from volcanoes or possible effects of hurricanes. Forces of nature usually do not lend themselves to easy forecasts, and most are inherently unpredictable. The communication of risk to the public in a way that it can be easily understood is one of the most difficult challenges facing science and technology. The loss of life that occurred in L'Acquila was tragic and regrettable, but that is attributable to many other causes besides the statement undersigned by the defendants,and the variability of the ground motions that attacked those buildings. The aftermath must not be allowed to turn into a spectacle calling for false culprits to punish in the interest of appeasing the public outrage. Instead, we must draw the right lessons so that there will be no victims in the future in this type of a preventable disaster. 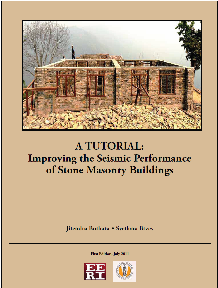 The production of the tutorial was a collaborative effort among EERI, the New Zealand Society for Earthquake Engineering and the Earthquake Engineering Center of the University of Engineering and Technology, Peshawar, Pakistan. The Bureau for Crisis Prevention and Recovery of the United Nations Development Programme has printed copies of the tutorial for distribution through their program in Asia. The publication will be shared with UNDP country offices, national governments' disaster management ministries and offices, and used in training programs. EERI and the National Information Centre of Earthquake Engineering (NICEE) at the Indian Institute of Technology Kanpur have copies available for the cost of shipping and handling. EERI shipping rates are: $10 to the U.S., $15 to Canada and Mexico, and $20 to other countries. Please contact NICEE (nicee.org) to order the publication from them. the World Housing Encyclopedia is a joint project of EERI and IAEE. More information is available at the project website: www.world-housing.net. A fellowship fund has been established in the name of Joseph Penzien to fund and support graduate engineering students enrolled in the Department of Civil and Environmental Engineering at the University of California, Berkeley. Preference will be given to students who have demonstrated financial need and have chosen the field of structural engineering and structural mechanics. The goal is to raise $500,000 to qualify for a named graduate fellowship. To make a contribution, please send cash/checks to Enid C. Pollack, Sr. Development Director at UC Berkeley College of Engineering, 210 McLaughlin Hall, College of Engineering, Berkeley, CA 94720-1722. Please make checks payable to UC Berkeley College of Engineering and include check memo: Joseph Penzien Memorial Fund. Ms. Pollack can be contacted by phone at 510-642-2257 or by email at epollack@berkeley.edu.